Model wears size M. His height is 179 cm a his weight is 80 kg. The Narvik NH Jkt is a synthetic jacket for all-round winter activities from skiing to hiking. The athletic regular fit runs close to the body and slips under a hardshell, without creating too much bulk. The synthetic Primaloft® Insulation Eco Black keep you warm whether you wear jacket alone or under a hardshell when you're confronted with a winter tempest. Hydrophobic insulation and a durable water repellent finish on the outer shell helps provide water resistance. High collar and elasticated seal on back are able to close out the worst of the weather when the conditions turn nasty. Two zippered hand pockets with soft velour inside, hold your keys and phone, trail map and tissues, or all necessities for riding the lifts all day long. The internal hem adjustment and sleeve hems with elastic panels keep the elements out. An unexpected drizzle won't leave you a cold and soaking mess, but it's best to pair this jacket with a waterproof shell if you know the weather is coming. PRIMALOFT® BLACK INSULATION ECO. features all the necessities for a thermally efficient insulation and adds the benefits of softness. packability and loft. 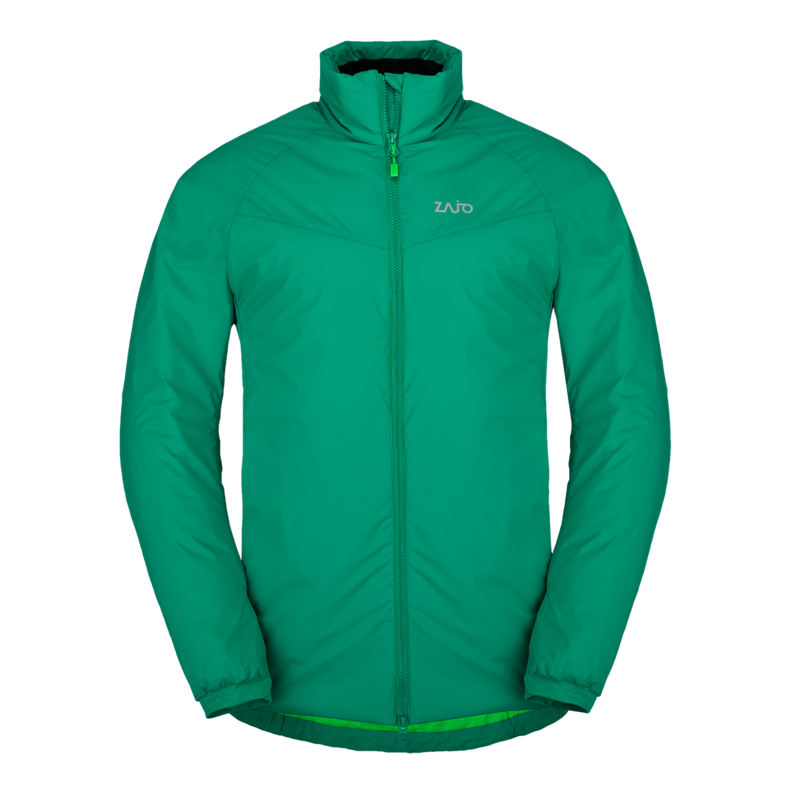 It combines 60% - recycled materials with advanced fiber technology to create a high performing eco-friendly insulation for immediate warmth without bulk. The usage of a full dull textured 100% Nylon yarn together with a very thin air and moisture permeable PU coating gives this slightly stretch fabric the nice dry hand touch and wind resistance. Jacket is not waterproof. We recommend wearing a waterproof shell over the jacket in the event of rain. Articulated sleeves at the elbow line. One internal pocket with YKK zipper. Synthetic fillings endure washing in washing machines and drying in dryers well and so follow the instruction for care of the given surface materials. Before putting the product with synthetic filling into a wardrobe, convince yourself that the filling is thoroughly dry. Do it not only after washing and drying, but also after wearing. Do not forget that the product may be moist because of vapours produced by body during sport activities. Avoid storage of products in compression bags or otherwise pressed. It is ideal to store them hung on clothes-rack.